Uploading original prescription photo is recommended, which will avoid mistakes when filling in Rx form. Our professional optometrists will help check and identify your prescription. There are two ways to upload your prescription photo. Step 1.Please click "Add New" button. 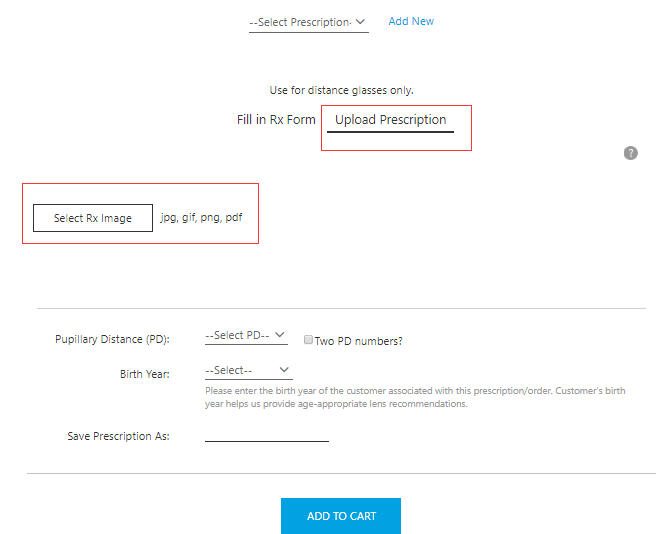 Step 2.Upload your prescription picture by clicking the Select RX Image button, and then select your PD number. At last, name your prescription and save. Step 1. 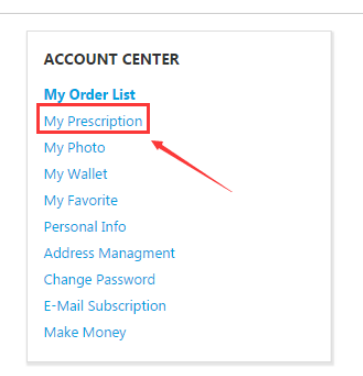 Go to your Account Center and choose " My Prescription"
Step 2. 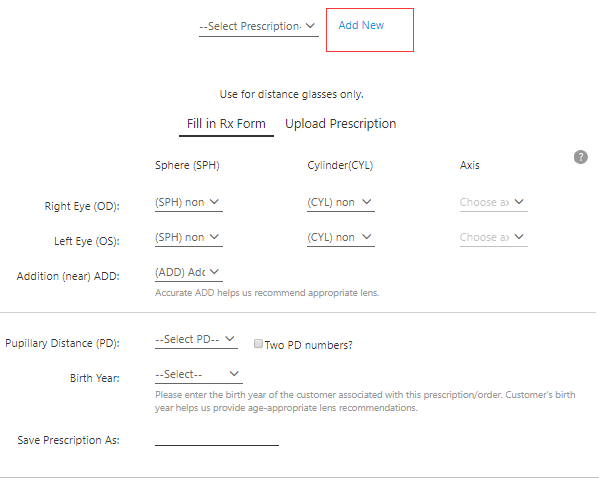 Click on "Add New Prescription"
Step 3. 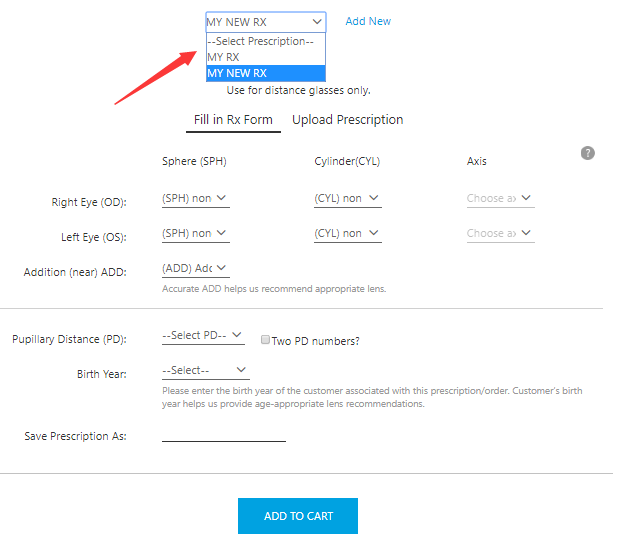 Upload your prescription by clicking the Select Rx Image button, and then select your PD number. At last, name your prescription and save. Note: when you place the order, you can choose the prescription you saved and order directly.